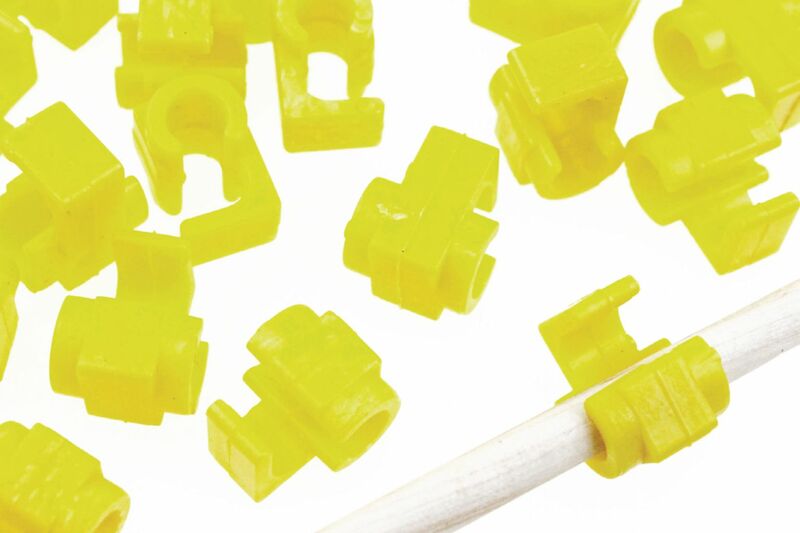 TeacherGeek Clips are an innovative way to prevent dowels from sliding out of position and to maintain pulley and gear alignment. They are clipped into place by pressing over the contour of the dowel. After aligning gears, pulleys and wheels, the clips are simply snapped into place.